"Wheat reed is one of the most durable thatching materials available, it has a life span of up to 20 years if properly maintained." 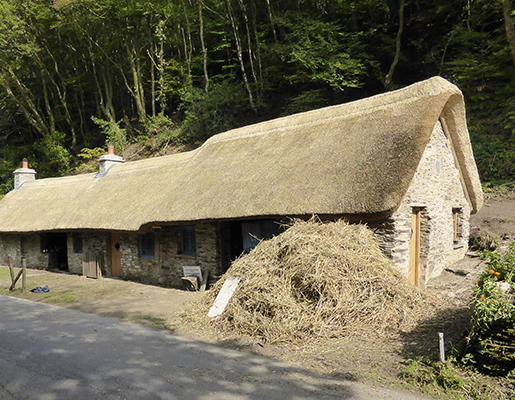 Following binding and thrashing, the straw which is left is bundled ready to be used for thatching. Wheat straw has been used as a factor material for decades. Wheat reed was the by-product from grain production. The advent of combine harvesters means that it is now a specialist product only produced by those with the old-fashioned machines. It is labour-intensive by modern day standards.